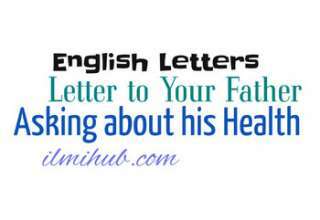 Here is an example of letter writing as in this post you will find an example of a letter to your father about your progress in studies. If you want to use your own words you can follow this pattern. 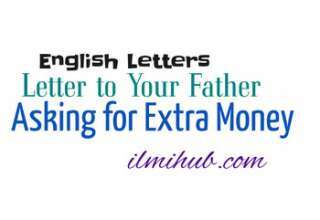 However, you can prepare the same, letter to your father about your academic Progress for Examinations. In your last letter, you have asked about my progress in studies. In due course, you have received my result. In the first term examination, I could not perform well in chemistry. It is because of the fact that concepts of organic chemistry are difficult to comprehend and retain. I also made a mistake by waking up the whole night for memorizing and learning of organic chemistry. In the morning, while attempting paper, I could not reproduce them exactly as I should have reproduced. Now I have started devoting more time to Chemistry-I. I am O.K with English, Urdu and Biology. You can see my percentage and grade. Still, I am not contented and I will improve on them. Physics is a problem. Sometimes, I find it difficult to collaborate and derive equations. I have also a problem with numericals especially those numericals which are unseen or out of the syllabus. I have discussed it with my teacher and head of Physics Department. They have lent a patient listening to my problem. They have advised me that I should try to repeat basic formulas again, and I am doing so. My send-up exams are drawing near. I am trying my best to make something of my self. Do pray for my success. I hope I will never let you down. I am trying to make the best use of my innate talent. Pay my best compliments to mother and love to younger ones. 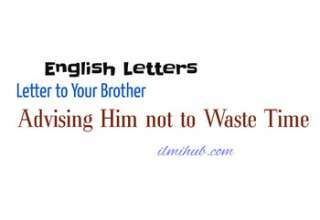 If you have prepared this letter, you may also like Letter to Your friend Congratulating him on his success in Examinations.